Written by members of our distinguished staff of experts, these white papers, articles, and complimentary reports provide interesting perspectives on technology and telecom issues, as well as examples of actual forecasting projects. Please see Technology and Telecom Reports for more reports and papers written by Technology Futures for decision-makers looking for the competitive edge in specific technology and market areas. Be the first to be informed when we post new TFI forecasting and telecom white papers, articles and report abstracts. Products and systems, such as automobiles, have become increasingly complex, especially as computerized control and software systems have become ubiquitous. Coincident with this trend toward more non-human control and automation, it has become necessary that the people who design, manufacture, install, maintain, repair, and calibrate such equipment possess skills that integrate mechanical, electronic, and computerized control and software systems. Mechatronics describes the multidisciplinary integration of the technical disciplines to improve the performance and functionality of such products and systems. This white paper provides recommendations that academic, government, and industry leaders should consider to ensure that the United States fully understands and utilizes this technology to maintain the country's economic competitiveness (May 2008). A complimentary copy of the report the paper is based on is available below. A popular approach being applied to long-range planning is to produce a roadmap to show the path to the future. Roadmaps and the roadmapping process serve as excellent communications tools--an effective means to link strategic operations, collaborative ventures, and business plans. However, to achieve success, roadmaps must target the right approach, involve the appropriate group intelligence, and provide a specific level of detail. This white paper discusses these elements using an analogy to travel maps. (May 2005) For more information on Technology Futures' activities in this area, please see TFI Roadmapping. The reemergence of the peer network has begun the discussion of whether there is a way for organizations to capitalize and make money. In this forward-looking article appearing in the April 2005 issue of Phone+, David Smith discusses drivers influencing the adoption of P2P networks and the market. (April 2005). Technology Futures Ushers in 2005 with Special Trend Paper! This report, written by Technology Futures' staff members, offers information, insights and forecasts for those interested in homeland security. A portion of the report focuses primarily Texas community and technical colleges and homeland security activities in Texas. The rest of the report is a resource for a broader-based audience. The report was written for the Texas State Technical College System (TSTC) and includes analyses of seven technology areas that provide the technical underpinnings for the nation's homeland security agenda: identifications specialists; network security specialists; weapons of mass destruction (WMD) detection specialists; WMD mitigation and decontamination specialists; concealed explosives specialists; critical infrastructure security specialists; and pattern analysis specialists. This report is housed on the TSTC website. (October 2004) Press Release. Texas Press Release. John H. Vanston, Ph.D. and Lawrence K. Vanston, Ph.D. This report, written by Technology Futures' staff members, offers information and insights for those interested in fuel cells. A portion of the report focuses primarily on two-year Texas colleges and fuel cell activities in Texas. The rest of the report is a resource for a broader-based audience. The report was written for the Texas State Technical College System (TSTC) and addresses the state of the art in fuel cells, the nature and rate of technical advances, potential employment demands, and forecasts and insights on the future of fuel cells. This report is housed on the TSTC website. (December 2003) Press Release. Texas Press Release. This report, written by Technology Futures' staff members, offers information and insights that may be of interest to those involved in the nanotechnology and nanoscience fields. The first part of the report (pages 2-20) primarily focuses on two-year colleges in Texas. The rest of the report lends itself as a resource to a broader-based audience. The report was written for the Texas State Technical College System (TSTC) and addresses the current state of the technology, projects the emergence of nanotechnology markets, and examines the factors that might accelerate or deter the development of these markets. This report is housed on the TSTC website. (August 2003) Press Release. 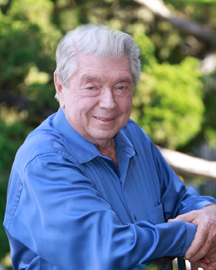 Dr. John H. Vanston, Ph.D.
Technology Futures has developed a strategic analysis framework, "Five Views of the Future™", that allows us to take maximum advantage of a large variety of proven methods when conducting technology/market forecasts. The framework is based on the five ways people view the future as extrapolators, pattern analysts, goal analysts, counter punchers, or intuitors. Descriptions explain the rationale on which each view is based, list several methods that are associated with that view, and indicate whether typical results from each of the methods are quantitative or qualitative in nature. For a more comprehensive description of this model, please see Research-Technology Management's article Better Forecasts, Better Plans, Better Results, written by TFI's Chairman, John H. Vanston, Ph.D.
Decision makers must--and do--trust their careers to forecasts about the future of technology, market tastes, the economy, the business environment, laws and regulations, and a myriad of other factors. Because of the importance of valid forecasts and because the people charged with making key business decisions typically rely, to a great extent, on forecasts made by others, it is essential that decision makers be able to assess the validity of various market and technology forecasts. Michael A. Bettersworth, Larry Grulick, Ph.D., and John H. Vanston, Ph.D.
Texas State Technical College System, Technology Futures, Inc.
Technology Futures has developed a new process, Programs for Emerging Technologies (PET), in coordination with the Texas State Technical Colleges (TSTC) System for identifying emerging technologies and then forecasting associated technical advances, market developments, and employment opportunities. The process, part of a larger report, was developed to assist the State's community and technical colleges in curricula development. Many of the concepts involved may be useful to others seeking new growth opportunities. (The full report, Forecasting Technical Program Needs, is also available.) (November 2002) Press Release. This white paper gives forecasts for residential broadband data rates and provides long-term forecasts supporting the view that U.S. broadband adoption is on track and that, barring major business or regulatory mistakes, long-term optimism for broadband is justified. The research supporting this white paper was sponsored by the Telecommunications Technology Forecasting Group (TTFG). (For more on this subject, please see The Local Exchange in 2015.) (October 2002) Press Release. It's 2015. Where are we in the LE telecom technology arena? What are broadband data rates? What's the impact of wireless? What's the network architecture? 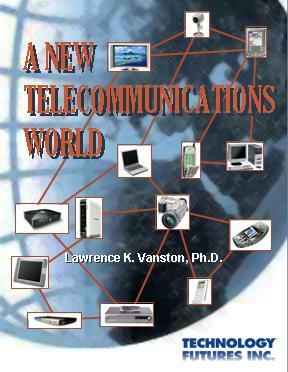 Viewed from the perspective of 2001, find out author Larry Vanston's scenario backed up his extensive expertise and TFI's technology forecasts. Find out more about 2015 to better prepare for the future! This report sponsored by the Telecommunications Technology Forecasting Group (TTFG). (December 2001) Press Release. The rapid pace of advances in technology, the continuing stress on profit growth, and the growing importance of worldwide business competition require that most companies continually develop new products and product lines. However, for these developments to be successful from a business stand-point, the companies must be able to effectively define the market needs of the future, to project advances in technology, be alert to competitor capabilities and intentions, and combine all of these factors into an effective business strategy. With technical innovations involving manufacturing processes, the innovation may not be revealed to competitors for a long period of time. Thus, analyzing the current state of the art in manufacturing technology, as well as the probable rate and nature of technical advance in the area, is important in taking full advantage of the advanced manufacturing technology when manufacturing efficiency is a major factor. The need to find new market arenas for existing product lines or related ones occurs routinely in most businesses. For successful entry into new market areas a company must determine the suitability of the product line to the new market, the present and potential size of the proposed market, possible competitor actions, and the time and effort required to introduce the product line into the new market. Although there are many good reasons for companies to be the first to offer products and services based on new technologies, there are occasions when this approach is impractical because it may not have the resources to develop the new technology on its own, potential markets may not be sufficiently defined, and the technical potential of the new technology may not be clear. However, if it's decided to go with a "fast follower" approach, a strategy must be carefully crafted, intelligently executed, and infused with an effective surveillance program, since the product initiative will lie with the competition. Sign up for detail updates. Recieve information, insights, and suggestions on how minitrends can materially improve your life.